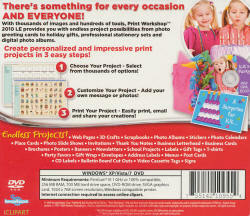 Be inspired by the 25,000+ pre-designed project templates and 100,000+ images and easily start your next project from scratch - 144,598 images on disc, 238,847 images online. 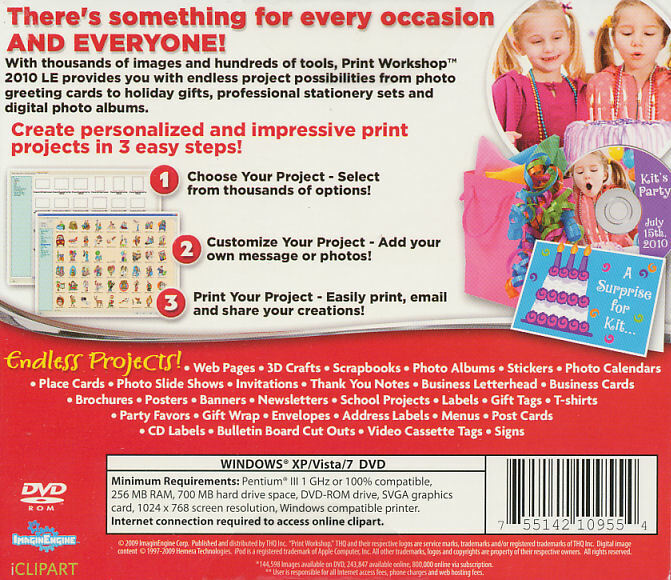 Select from 100,000+ images and 500+ fonts to design layouts for multimedia presentations, letterhead, business cards, greeting cards, multi-page brochures, stationery sets and much more. 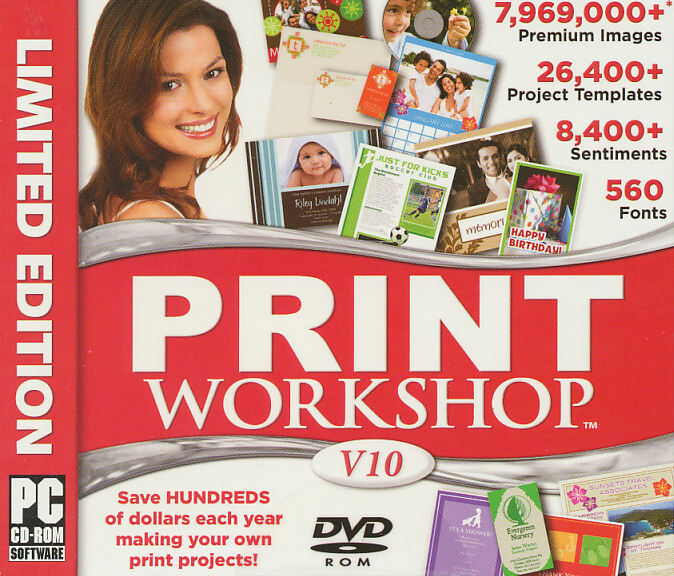 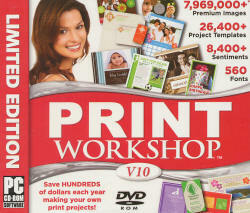 Print, email or publish your creations easily with Print Workshops powerful publishing options.